COLD SPRING, MN – Cold Spring Brewing Company (CSBC), the #1 producer of exclusive beer and craft beer brands for major retailers throughout the world, announced Andy Paavola as Maintenance Manager. Paavola has been with CSBC for nearly 12 years and brings over two decades of experience in maintenance to the team. 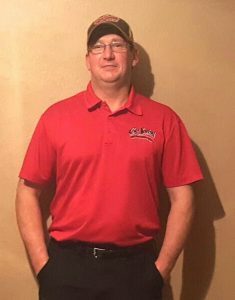 Prior to joining CSBC, Paavola held multiple positions in production and maintenance at Master Mark Plastics in Albany, MN, where he was in charge of overseeing production and equipment. Third Street Brewhouse craft beers are available for purchase in liquor stores throughout Minnesota, and can be found on tap in many local bars and restaurants. Third Street’s tap house is open on Fridays from 4-8pm and Saturdays from 12-5pm. 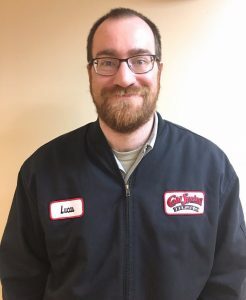 COLD SPRING, MN – Cold Spring Brewing Company (CSBC), the #1 producer of exclusive beer and craft beer brands for major retailers throughout the world, announced the promotion of Lucas Kneip as Compliance Specialist. In his current role as Compliance Specialist, Kneip is responsible for coordinating brewery operations and schedules, as well as managing inventory, orders and shipments of beer. Kneip also handles government regulations, federal and state licenses for the brewery. 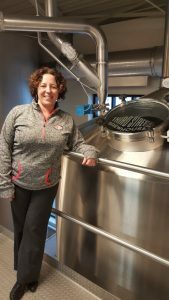 COLD SPRING, MN – Cold Spring Brewing Company (CSBC), the #1 producer of exclusive beer and craft beer brands for major retailers throughout the world, announced Joan Linn as Purchasing Manager. Linn has strong roots in the Cold Spring area – not only is she a native to the local community, but she also brings over 20 years of purchasing experience, having held sales and purchasing positions with Gold’n Plump in Cold Spring, MN. In her role as Purchasing Manager, Linn is responsible for purchasing ingredients, negotiating contracts, implementing policies and procedures, as well as monitoring and purchasing equipment for the company’s warehouse and shipping facilities. 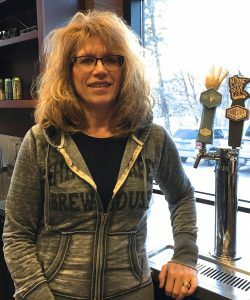 COLD SPRING, MN – Third Street Brewhouse (Third Street), the craft brewery behind popular beers like Minnesota Gold and Hop Lift, announced Maranda Theisen as Taproom Manager. Theisen is no stranger to the brewhouse, having been with the company for the past two-and-a-half years. Before being promoted to Taproom Manager in April 2016, Theisen worked as a receptionist. In her role as Taproom Manager, Theisen is responsible for scheduling samplings and all internal and external brewhouse events, brewhouse tours, managing the brewery’s social media accounts, as well as overseeing design decisions for new and revised cans and packaging. Third Street’s tap house is open on Fridays from 4-8pm and Saturdays from 12-5pm. Visit Third Street’s website at www.thirdstreetbrewhouse.com for additional information, locations and a full list of beers. COLD SPRING, MN – Cold Spring Brewing Company (CSBC), the #1 producer of exclusive beer and craft beer brands for major retailers throughout the world, announced the hiring of Nicole Holthaus as Human Resources Manager. Holthaus, who is a native to the local community, brings over 17 years of management and human resource experience in the St. Cloud area. Prior to joining CSBC, Holthaus held positions with the St. Cloud Hospital and Wolters Kluwer Financial Services – just to name a few. In her role as Human Resources Manager, Holthaus will also be in charge of hiring nearly 60 new employees for the company’s planned expansion to add 300,000 square feet to its shipping facility. The expansion is expected to be completed by late 2017 or early 2018.